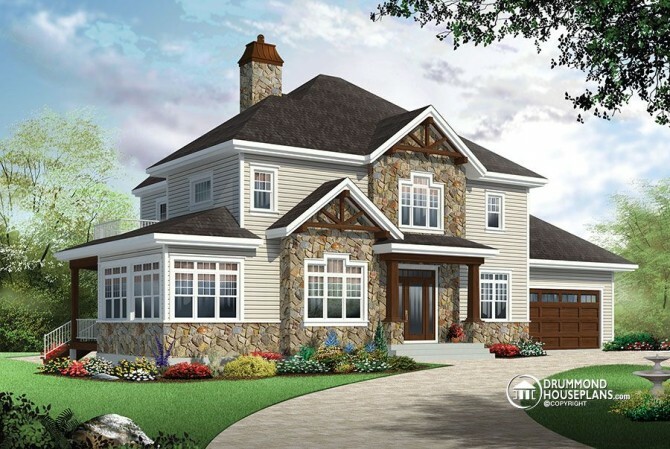 This 4 bedroom Traditional house plan offers bright, comfortable elegance in a dream home that possesses many features worthy of mention like two master suites. Whether it be the two-car garage which is in perfect harmony with the rest of the house, or that beautiful living room on the opposite facade which many will take pleasure in decorating in exotic fashion, without forgetting two rear terraces, one of which is accessible to one of the two master suites, this model proposes many excellent interior features as well. As soon as we enter the foyer, we are pleasantly surprised by the vastness of this entrance which is open over two storeys. We appreciate a living room with adjoining solarium of very interesting dimensions, and we are enthralled by a comfortable dining room which shares a see-thru fireplace with the family room and by a spacious well organized kitchen offering plenty of cabinet space, a large kitchen island and an access to a covered deck. Not to be neglected, a good sized office space (or bedroom #5) with full bath, and a very useful laundry room really complete this level. 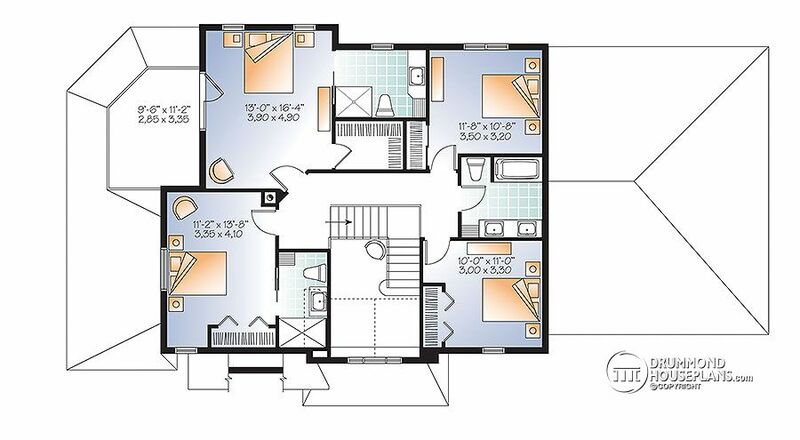 The second level offers two master suites plus two secondary bedrooms, for a total of 4 bedrooms on that level. The two secondary bedrooms share a full bathroom (total of 3 bathrooms upstairs) with dual vanities and a bath or shower. We are more than happy with the amplitude of the main master suite with an access to a private terrace, a large walk-in and a private bathroom. Daughter of Drummond House Plans founders, I was only 3 years old when my parents started the company, which explain my passion for residential architecture! I love travelling, good wine and HGTV! Mother of three beautiful children and co-owner of Drummond House Plans since 2002 with my best friend and husband, Yves Carignan. This house looks amazing. I was wondering if the terrace could be bigger? of course the terracce could be bigger. If you wish, we can modify this plan to your requirements. 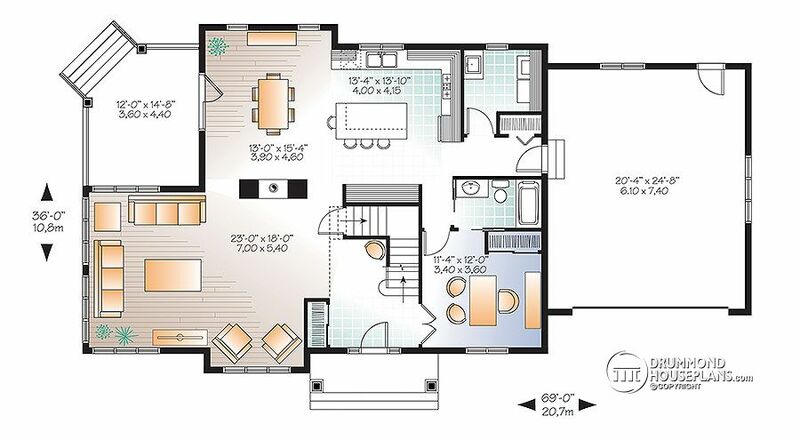 When you are ready, let me know and we’ll provide you with a free estimate to adjust this house plan.